When it comes to taking care of your home, waterproofing might be one of the most important things you do for your home. 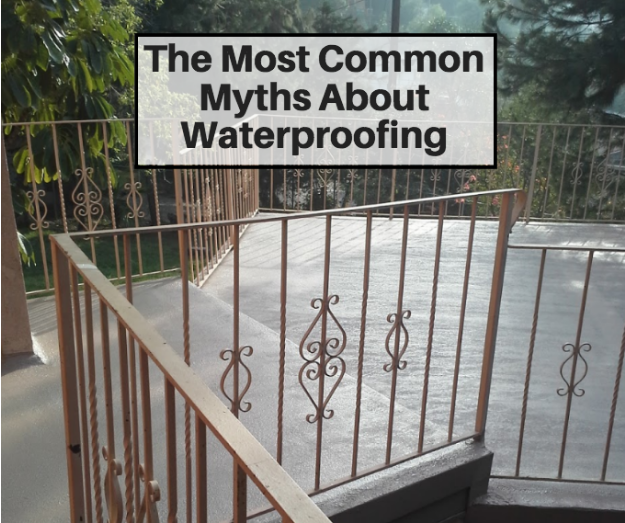 As it turns out, there are plenty of myths about waterproofing that have popped up over time. If you are thinking about waterproofing your home or basement, check out some of these common myths and look into waterproofing companies in los angeles to get the best services around. One common myth is that all you need to fix a basement that’s leaking is to put waterproof paint over it. At best, waterproof paint will be able to reduce the amount of vapor that will get into your home. However, this will not be enough when it comes to major leaks and foundation cracks. Another myth is that some contractors might say there’s one solution for all different types of waterproofing issues. The truth of the matter is that when it comes to basement waterproofing, there is no ‘one size fits all’ solution. Instead, you need an experienced waterproofing professional who can come up with a creative and unique solution for your individual problem. Another huge myth is that basement waterproofing is simply too expensive. So instead, people hold out and leave waterproofing for another time. The problem with that, is that if there is a leak, serious damage to your home as well as to your belongings can take place, when it could have been avoided in the first place. Cost estimates take into consideration the space, the particular needs, and the scope of the work. While the total costs can range in the thousands, protecting your basement and foundation of your home now will save you much more money in the long run. Be sure to get estimates from various contractors so you can be in control when it comes to choosing the right contractor for you and your home.